Fairmont Chateau Whistler – Wake up to a wide window view of evergreens, the mountain or the villages with restaurants and shops. Resident artists take turns rendering their creations in the Fairmont lobby for sale in the gallery while Chateau chefs create superior dishes in all the dining venues from breakfast buffets to lunch on the course and Bison in the Grill Room. Chef Anup Chaubal is a pastry savant concocting sugar coated blueberry pie lollipops or an elaborate representation of the local river scene with colorful, tiny flowers on the shore. Canadian Coastal Mountains – Snow capped mountains, deep forests and glacier views are as intoxicating as the refreshing crisp, and cedar soaked air. This is a magnificent backyard for skiing, zip lining, golf and hiking. 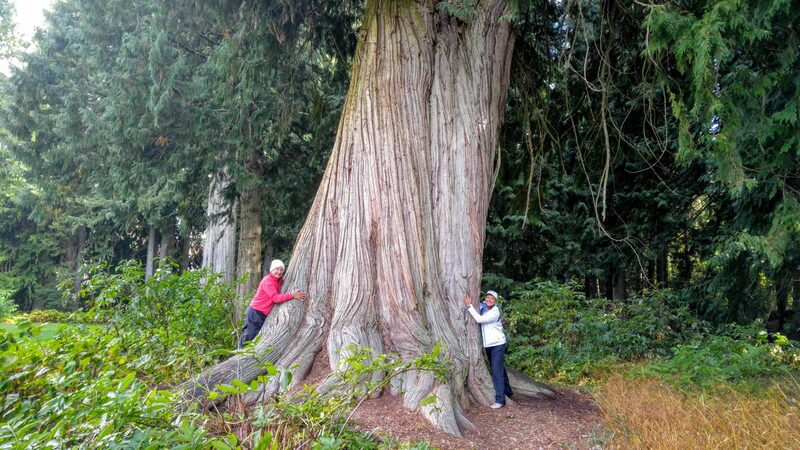 Hit the trails to find Lost Lake and other landscape wonders. 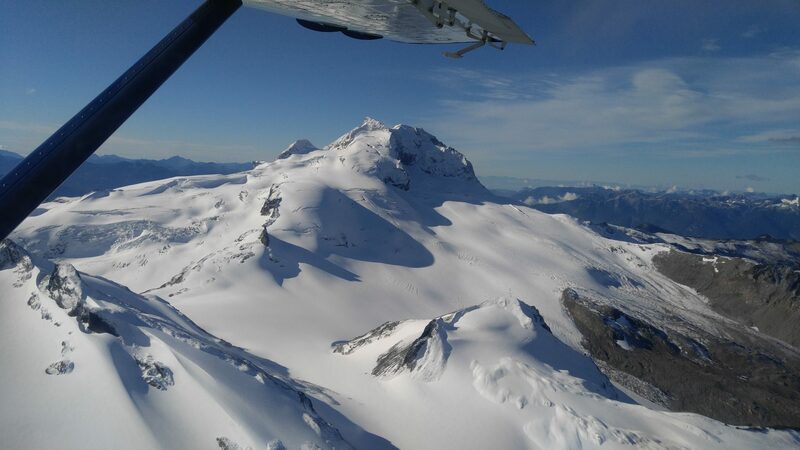 Harbor Air – All aboard a floater plane to fly over the mountains and lakes for a bird’s eye view. The glaciers are so close you feel like you might reach out and touch them. Take off from Green Lake next to Jack Nicklaus’ North course for this unforgettable, affordable flight. Wave to photographers as the pontoons glide back on the crystal turquoise water. Nicklaus North Golf Course– Colorful bear molds serve as tee markers. The mountain backdrop contrasts with Green Lake, so colored by the glacier fed streams. Bright blue Stellar Jays complement the stellar views but watch your food as they are watching you for their chance to grab it off the cart. Also watch along 15 and 16 for the Harbor Air seaplane departures and returns on the water. 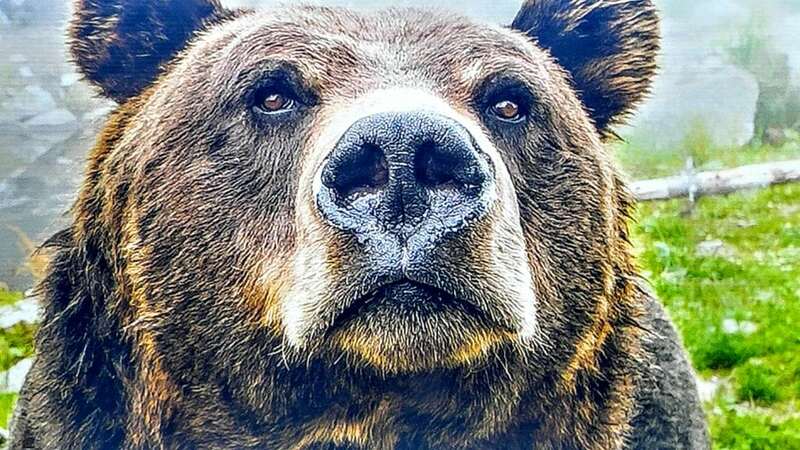 The Bears – Signs everywhere instruct how not to interact yet remain calm with the creatures we all wanted to cuddle as kids. Whistler bears love to play with the pin flags and eat daisies per the comical photos online. It might seem like false advertising if not spotted but they are out there, on trails and courses. The photos are real. 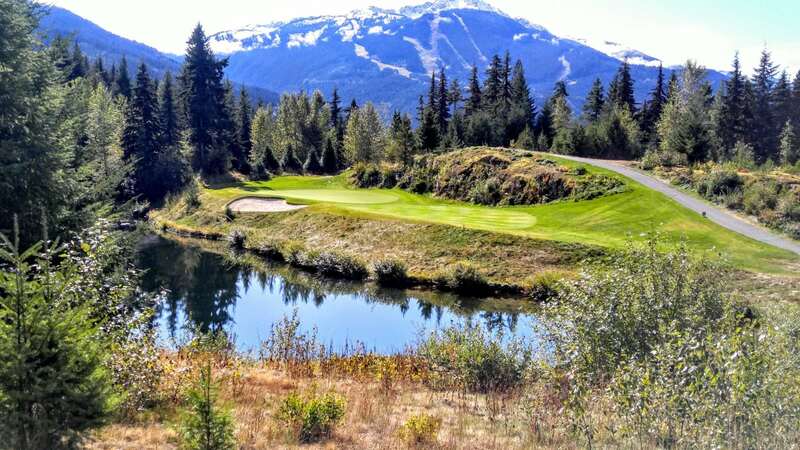 Whistler Golf Club – On Arnold Palmer’s valley design, “Whistler’s Attitude,” golfers’ birdie glees echo through the trees as chalets peek through the evergreens. To open the trashcans, you must be smarter than the average bear they are meant to keep out. 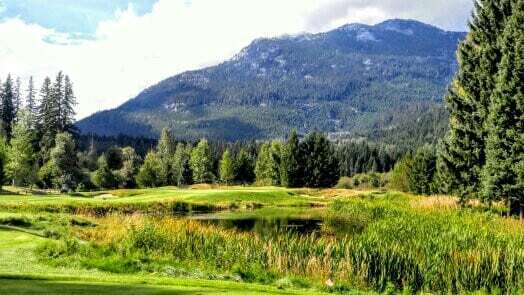 Fairmont Chateau Whistler Golf Club – This course is the king of the mountain at Whistler. The first few holes climb up and over glacier streams as steam rises from the fairways in the morning hours revealing golfers in the mist. The sound of rushing water comes with a brisk chill from the mountain glaciers. In late September a few of the logo lupines still bloom. The purple permutation along all the fairways in spring is breathtaking. For special tournament events, the Fairmont chefs might arrange tables with linens, flowers and a culinary station beside a tee box serving special treats with a vew. ATV Salmon Bake – Gear up, take a safety lesson and test drive before this fun ride ascending the mountain passing all the ski runs, the bobsled ride, beneath the zip liners and stopping at various points for backward views. You can’t help but fantasize about swishing down the snowy Blackcomb paths. Crystal Hut at the top of a peak delivers a magnificent view of Whistler. Salmon, wine and desserts are served here accompanied by notes of a guitarist. If open air is not your style or you crave more speed, watch for the Fairmont’s future Porsche experience offering. Scandinave Spa – Nestled in the forest of the coastal mountains, Scandinave is a silent spa where you can find yourself or lose yourself, your choice, but you cannot speak. This might be difficult when taking the first icy cold plunge, as this is the therapeutic sequence – hot therapy, such as Jacuzzi or sauna, then cold therapy such as the arctic falls and then relax. Repeat, repeat and repeat in different pools and cabins. Massages are optional during or after to cap off the experience. Biking – This is the number two sport in the region, following skiing/snowboarding to which there are similarities. Balancing, shifting, and love of speed are required for actual mountain biking but there are easy trails for leisure joy rides as well.